The culms are a beautiful lemon yellow color at sheath fall (this is the time when the new shoots reach their full height in late spring). When planted where direct sun can shine on the culms from the south and the west, they often acquire a bright magenta highlight for a short time in the spring. This is the hardiest bamboo that has yellow or golden culms. A real jewel, one of our most spectacular bamboos, especially in the early summer as the new culms acquire their brightest color. 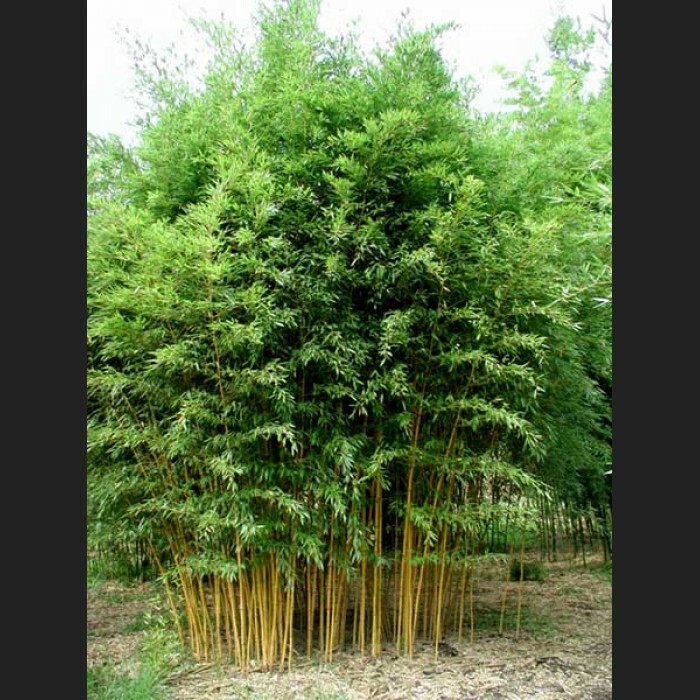 Like all cultivars of the Phyllostachys aureosulcata type, they have upright and narrow stature which offer good qualities for tall screens.